If you want to buy Honoro Vera 2016, at Uvinum you will find the best prices for Calatayud red wine. It is not possible to buy Honoro Vera 2016 right now. Notify me when I can buy Honoro Vera 2016. Give us your email and we will notify you when you can buy Honoro Vera 2016 online. 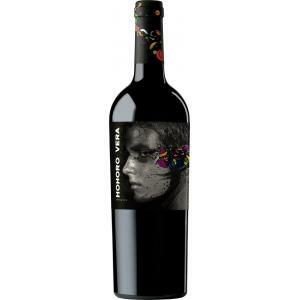 Bodega Ateca produces the Honoro Vera 2016 , a red wine from Calatayud that is made of garnacha, grenache and garnacha tinta of 2016 and presents an alcohol content of 14%. The Honoro Vera 2016 is the ideal red to combine with semi-cured cheese and chicken salad. 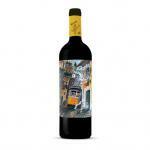 Uvinum users evaluate this red wine with 4,3 out of 5 points while renowned wine experts rate it as follows: peñín: 90. Honoro Vera 2016 is a young red wine with a pleasant personality. 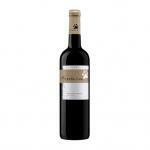 It is one of the most renowned wines from the Spanish appellation DO Calatayud on an international level. The vines of Garnacha grow at an average altitude of 850m above sea level and explains the fresh, fruity and powerful character of this wine. 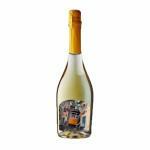 With Honoro Vera 2016, Bodega Ateca has created an expressive wine that's easy-to-drink and to enjoy, easy to pair with any kind of dishes. Let yourself be seduced with an excellent vintage as this 2016. - View: very intense red, violet edges. 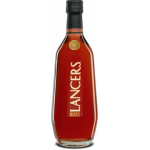 - Nose: aromatic intensity, red fruits, balsamic notes and minerals. 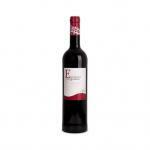 - Mouth: is a powerful wine, with body, good tannins and fruity, for its varietal. ELABORATION AND AGING: grapes from old vineyard. Fermentation in stainless steel. 2 months in French oak barrels. WINE MARTINING: Starters, Ham and sausages, Rice, Cheeses, Semi-cured cheese, Meat, Red meat, White meat, Mushrooms. 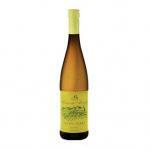 mature, thyme, sweet, round, warm fruit. 88 points. It is the wine that I have at home always. A safe bet for personal consumption or enjoy with friends. - View: ripe cherry, garnet rim. Candied fruit, thyme, sweet, balanced. 88 points. Honoro Vera 2013 is great with meats and semi-cured cheeses. Undoubtedly one of the best RCP with which we have encountered. Placed an order set this 100% Garnacha Calatayud coworkers Uvinum and I think repeat bottles to store at home. Candied fruit, oregano, sweet, round.